Google Provides Customer Journey Tool With Fresh Industry Data • IX Publishing, Inc. In 2014 we talked about how important it is to understand the buyer’s journey. The buyer’s journey is the active research process a potential buyer goes through leading up to a purchase. We call it the buyer’s journey, and Google calls it the customer journey. Each industry has a different path and the sales cycle can vary greatly depending on industry and purchase price for your product or service. Google just updated their customer journey tool to reflect lessons learned from analyzing millions of consumer interactions with Google Analytics. An example graph from Google’s tool-set. Google’s data reveals that “display impressions tend to act at the beginning of the purchase path 33% of the time and in the middle 45%. 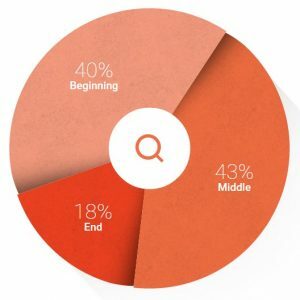 They play a role at the end of the journey about 23% of the time.” Of course, they are trying to sell more ads, but the updated customer journey tool allows you to research “the numbers” for paid search (SEM) and display ads compared to email, organic search (SEO), and social media channels.